A single ended pure Class Amplifier with no feedback, local or global, utilizing only 2 single ended amplification stages. Fully regulated power supply for the output stages, using 6C33 as pass element and proprietary solid state control circuit for rock solid voltage and extremely low impedance. Huge HV capacitor bank, consisting of a single 6,000uf capacitor with extremely low impedance and high current, capable of providing a total energy of 300 Joules. Power is provided by a very high quality 700VA potted toroidal transformer, whose AC voltage is rectified by planar hyperfast-soft recovery diodes. Soft start is used to prevent over current at start up. IEC power connector is integrated with complete line filtering circuit as well as on-off switch and 2 fuse receptors. Very high quality and reliability components are used throughout. All components are selected for their minimal contribution to the final sound. All resistors are military specified Vishay - Dale as well as extreme quality carbon composition at selected designations, providing very low noise and reliability; all electrolytic capacitors are 105C and specified for long life and low impedance. Output and input connectors are made by WBT and Cardas (non- magnetic, eutectic Brass, Rhodium over Silver plate) respectively. All circuits are built on 2 very high quality, military specified 3mm FR4 printed circuit boards. All copper tracks are 105 microns thick and fully gold plated. Where needed PCB track routing is using star grounding layout. Fully precise adjustment of the operating point of the output valves is provided to the user, as well as continuous monitoring of the exact operating point through the analog panel meter. Oversized output transformers hand wound in house, utilizing traditional interleaved winding techniques for extremely low capacitances and amazing full power bandwidth. Hand selected and fully burned in 6C33C-B output tube chosen for its astonishingly low internal resistance, reliability and long life. 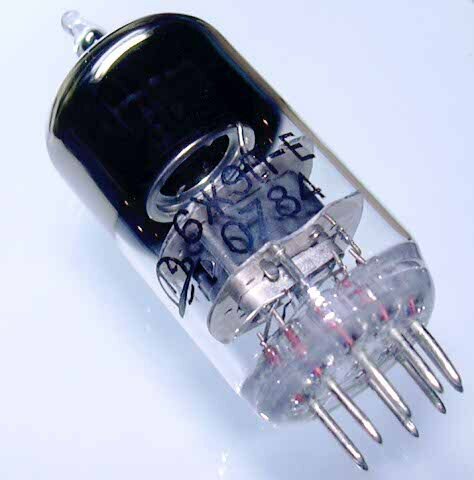 Hand selected for low noise and fully burned SIEMENS D3A/7721 triode strapped pentode driver tube, chosen for its astonishingly high gain, low internal resistance, low distortion, reliability and long life (10,000hours guaranteed). 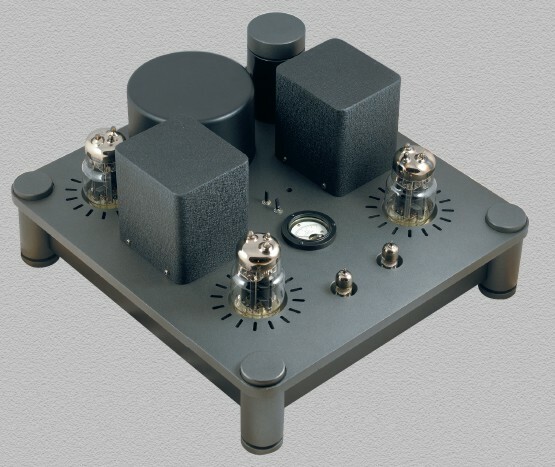 A single ended pure Class Line Amplifier with no feedback, local or global. Dual mono design, utilizing two independent fully encapsulated power transformers and two independent full wave valve rectifiers type EZ81. Raw Dc smoothing is achieved through traditional CRCLC filter consisting of massive 105C smoothing capacitors and chokes, completely independent for each channel. Soft start (1 minute) is used to prevent over current at start up and output noise during warm up period. All components are selected for their minimal contribution to the final sonic outcome. All resistors are military specified Vishay - Dale as well as extreme quality carbon composition at selected designations, providing very low noise and reliability; all electrolytic capacitors are 105C and specified for long life and low impedance. 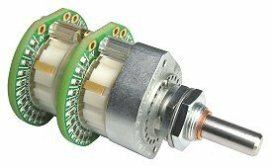 Input and output connectors are made by Cardas non- magnetic, eutectic Brass, Rhodium over Silver plate. All circuits are built on one very high quality; military specified 3mm FR4 printed circuit board. All copper tracks are 105 microns thick and fully gold plated. 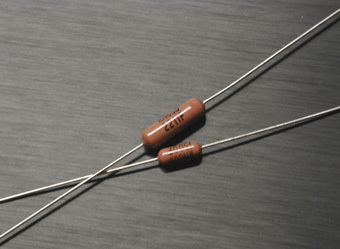 Special output transformers, potted and hand wound in house, utilizing traditional interleaved winding techniques for extremely low capacitances and amazing full power bandwidth. Hand selected for low noise and fully burned 6J9P-E triode strapped pentode output tube chosen for its astonishingly high gain, low internal resistance, low distortion, reliability and long life. Source selection is achieved through small signal relays with gold contacts. Finally volume attenuation is achieved through one of the best available 24 position volume controls ever made, utilizing golden contact switches made by Elma Swiss and 0.1% Nichrome thin film SMD resistors with of 25 or 50 PPM thermal noise specification (TCR).